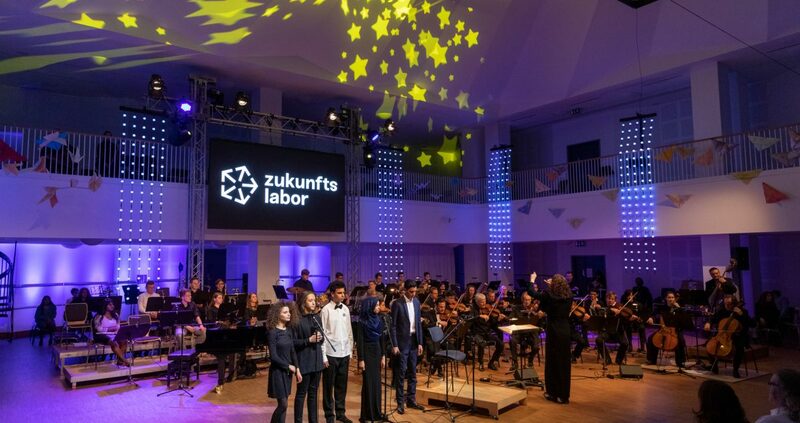 The Deutsche Kammer­philharmonie Bremen and the Bremen East Comprehensive School welcomed their most recent newcomers to the Future Lab in 2016. 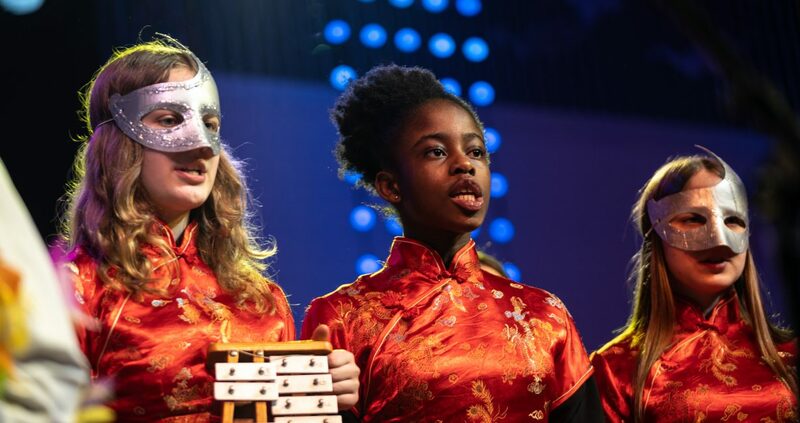 After ›The Melody of Life‹ and the ›Community Opera‹, a new club in downtown Osterholz-Tenever is now seizing the limelight. 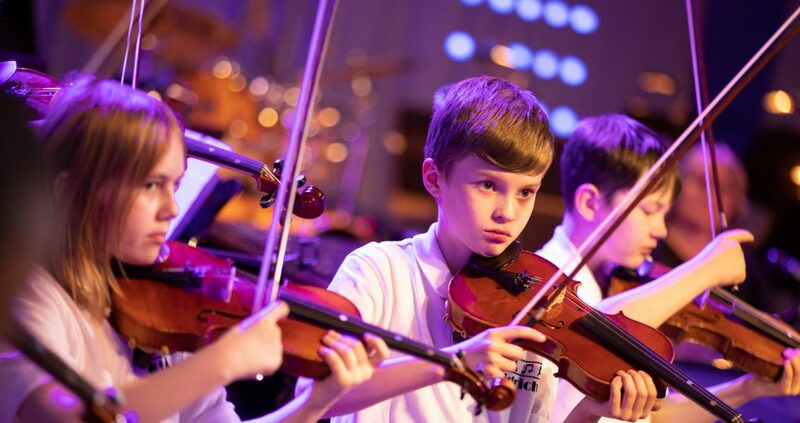 Pupils and teachers alike are working together with both local and international guests to overcome much more than just their genre boundaries in ›Club 443 Hz‹; be prepared for music making, experiments and surprises! Alongside musical presentations, theatrical demonstrations and culinary and artistic treats, a pot-pourri of amazing delights awaits audiences in ›Club 443 Hz‹. Thu. 21 March & Fri. 22 March 2019, 7.30 p.m. Whether a football club, the famous Club of Rome or the Buena Vista Social Club – there are dozens of clubs. So what is so special about ›Club 443 Hz‹? 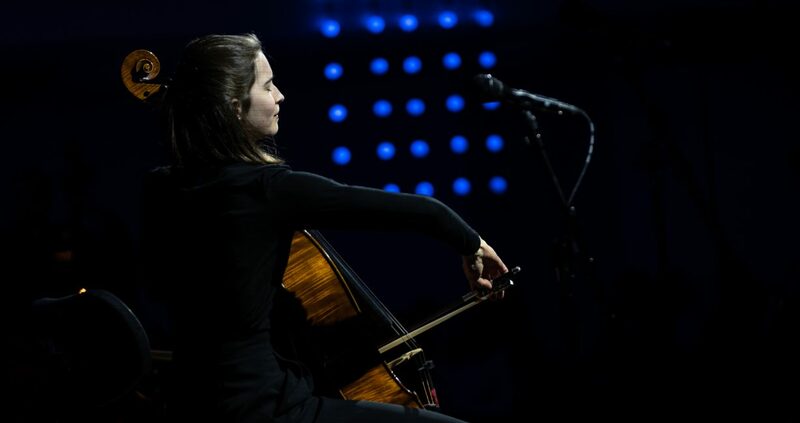 The title refers in fact to the frequency of the note A, to which The Deutsche Kammer­philharmonie Bremen tunes all its instruments at the start of each concert. The note resonates at 443 pulses per second. Also, the word Hertz in German sounds exactly the same as the word for ›heart‹. 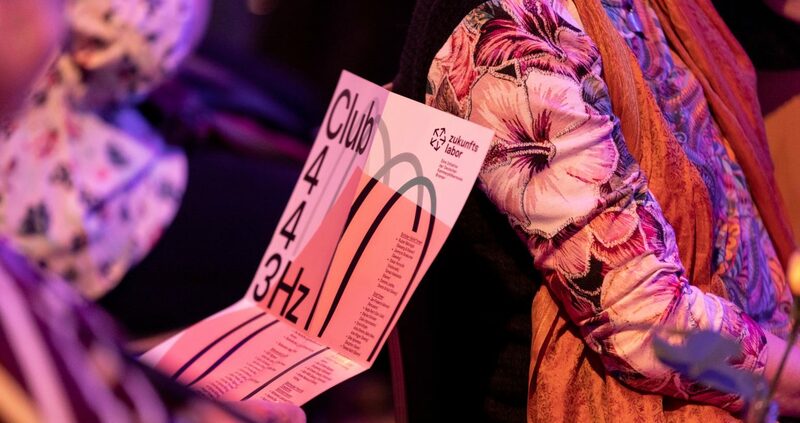 With its colourful and multi-genre programme, the ›Club 443 Hz‹ warmly invites you to open your senses to a variety of vibrations, to a wealth of exciting experiments and to a world of new sounds! 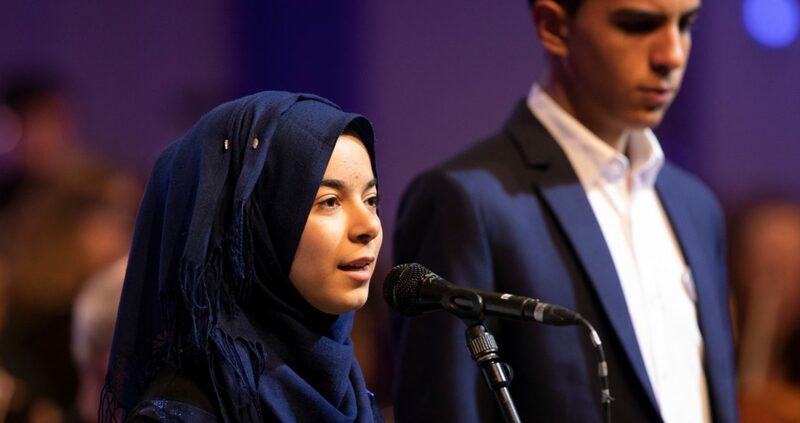 The children and young people of the Bremen East Comprehensive School as well as the members of The Deutsche Kammer­philharmonie Bremen plus the frequent and numerous guests – either from the local area or artists and performers from all over the world – all ensure that the mood in ›Club 443 Hz‹ is vibrant and infectious. Together, they will take you through an exciting programme of diversity. 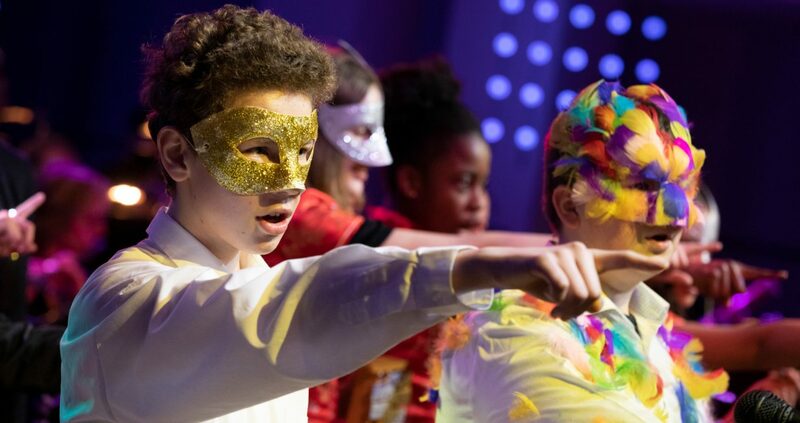 This is a meeting place where ›old acquaintances‹ who have gained experience in previous Future Lab events perform together with younger pupils who are treading the boards for the first time. And: in ›Club 443 Hz‹ audience participation is welcomed, the motto being ›in the thick of things‹ rather than a passive observer. You are very welcome to come and experience Bremen’s most amazing club for yourselves. 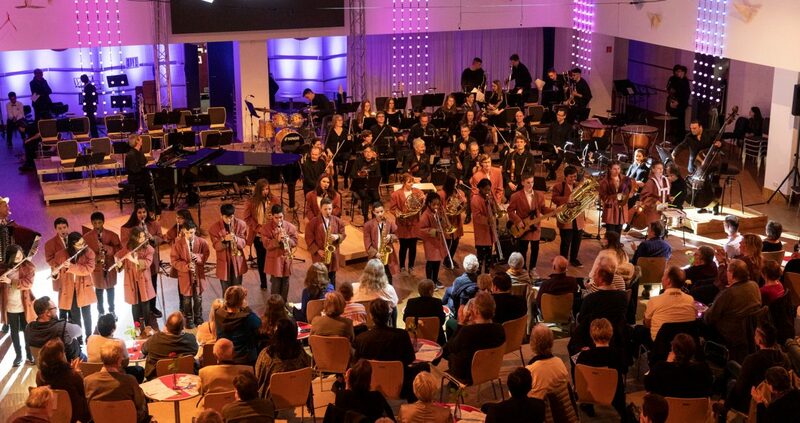 Doors open for the next session of ›Club 443 Hz‹ on Thursday 21st and Friday 22nd March 2019 at 7.30pm in the ›Kammer-Philharmonie‹ at the Bremen East Comprehensive School.